There aren't a lot of one man death metal projects out there, or at least nowhere near as many as their are black metal ones. Yet those that we do have stand out for being brutal, evil, and turned up to the max. Gaped is a studio project that proves no exception to the rule. 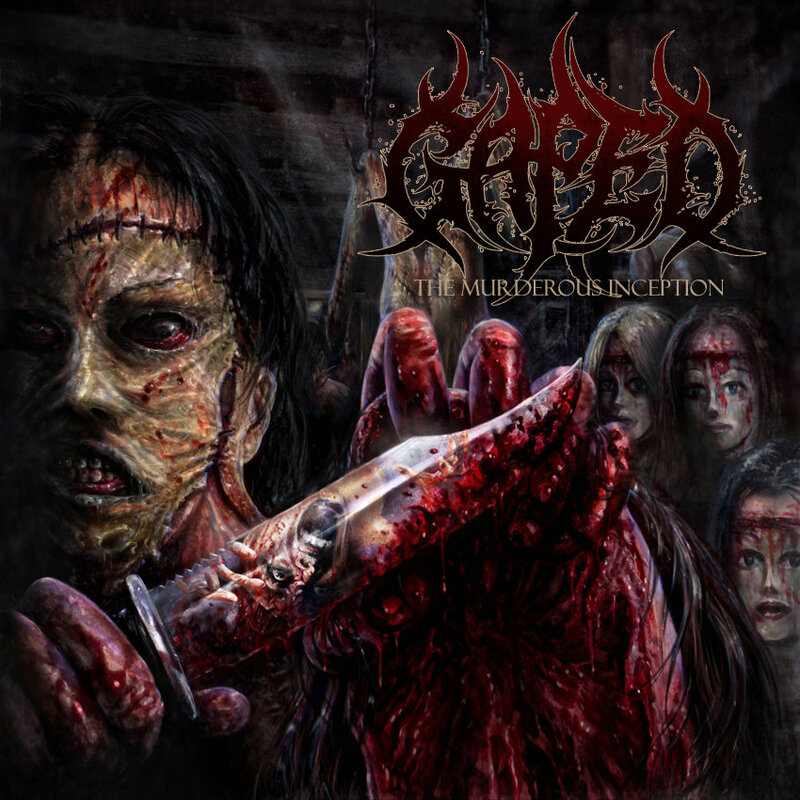 Gaped's new EP The Murderous Inception is six tasty death metal tracks (admittedly one is a cover) that roar out of the speakers and into your ears, showing a tower record capturing the sounds of bands like Cannibal Corpse and Aeon, this is brutal death metal at it's finest. In closing, The Muderous Inception is not a record to be taken lightly, it is an album that proves gore metal will never die. Oftentimes I think of gore metal as a bored, tired out genre, and then a band like Gaped comes along and blows me out of the water. This is not an album to be taken lightly, it is a collection that will leave you battered and broken, a slave to a man who can tear riffs out of the bowels of hell. Ryan Huthnance may very well be this generations Glen Benton. With The Murderous Inception what can I say other than come on in, the blood is fine!